I love going on a picnic. It is calming and relaxing and rejuvenating. I especially like “impromptu picnics”. After all, the best picnics are those accidental ones, where you see the sun shining and make an instant decision to eat outdoors. Spontaneous also means that I can have a picnic as an office lunch and I don’t have to wait for the weekend – which is always an excellent idea. As an added bonus, it gives me a chance to catch up on my cloud-watching. Of course, by impromptu I mean you don’t have a planned destination, not that the food just appears in your trusty picnic basket. At the very least, you can start your spontaneous picnic by just dropping in to a good deli and do a throw-and-go with a chunk of hard cheese, some fine ham and mustard, a loaf of bread, and a nice cluster of vine-ripened grapes. Get fancy and add deviled eggs and a couple slices of homemade cake or just do some sandwiches and iced tea. Do people go on picnics anymore? I can’t say that I have seen very many people picnicking anymore. Now by picnic I mean a real picnic, not just an outdoor meal on your deck while you check your email or a tailgate before the game. 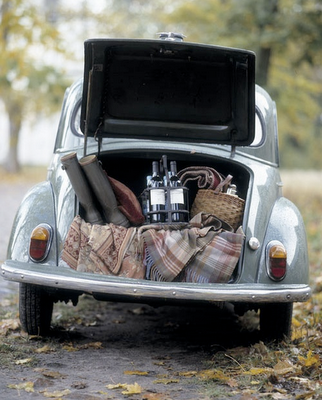 Tailgating is a wonderful activity in its own right and a fun way to hang with your friends for an afternoon. But I am talking about a peaceful, relaxing al fresco meal in a wonderfully serene and scenic spot. Perhaps you are thinking a lazy afternoon spent beside a babbling brook. My personal favorite is a roadside picnic along a tranquil and very infrequently travelled lane. 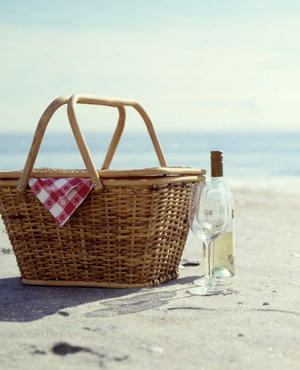 Beach picnics are great fun too. Not those overcrowded, noisy, tons of people roasting in the sun in the high season beaches, but rather a secluded little cove or possibly an off season just slightly chilly sunset or moonlit picnic. 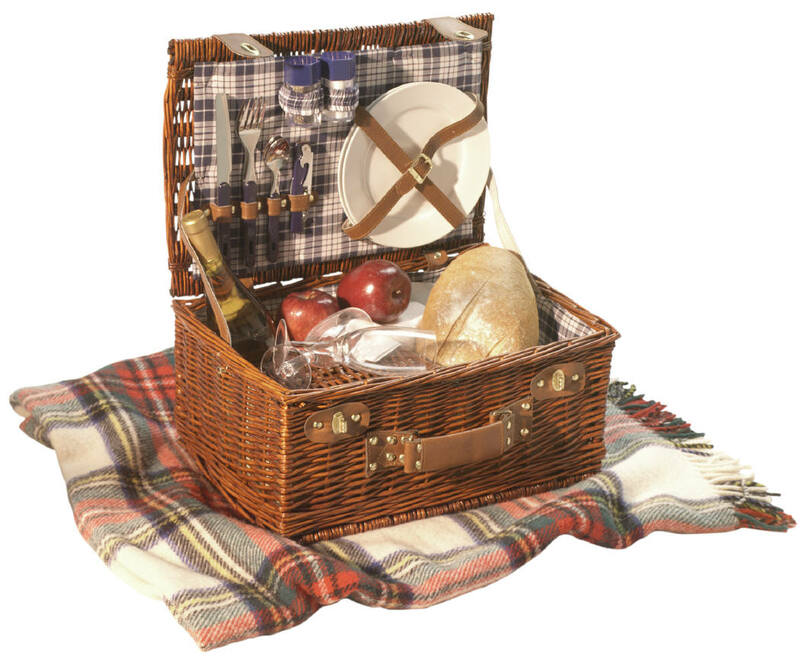 The most important things I’ve learned about picnics is not to worry about the contents too much, or the weather. It’s the worry that ruins a good picnic more than any change to the weather. My dream picnic? 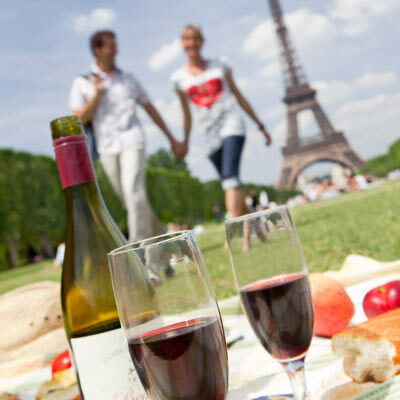 It would be relaxing in the shadow of the Eiffel tower with a nice cup of tea, an egg salad sandwich on homemade crusty bread and a fresh-cut fruit salad. I hope to work on making that one happen soon!